10 Amazing Benefits Of Activated Charcoal Soap You Did Not Know About! Don’t we all just love an eternally soft and squeaky clean skin? But more often than not, that amazing skin is way too hard to find! 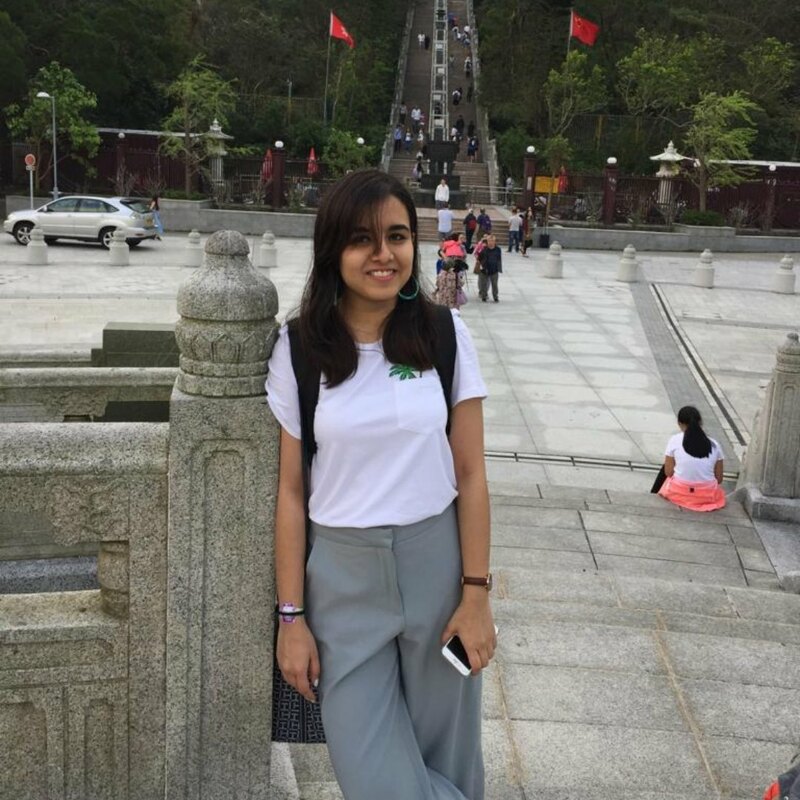 Not only does it take hours for you to hunt down the product that suits you best, but you also end up spending thousands of bucks for that one face wash that is right for you! While all that hard work is worth your skin, we have a slightly easier alternative for you - charcoal soap! 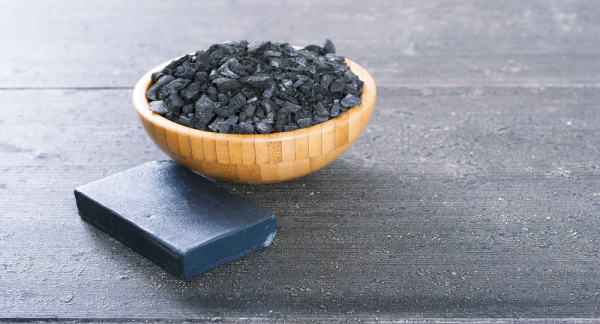 As the name suggests, charcoal soap is derived from activated carbon, a compound that has been quite the talk in the beauty and wellness industry. Also known as activated carbon, it is formed by burning natural sources of carbon such as peat, regular coal, wood, or coconut husk. What makes it so good for your skin is that it binds dirt and impurities on its surface, and is capable of absorbing impurities that are a thousand times heavier than its own weight! This means that just a pinch of activated charcoal has the capacity of leaving your skin super clean and with half the usual effort! Now that you know exactly what activated charcoal soap is, let us take a look at all the activated charcoal soap benefits for the skin! Activated charcoal proves super effective in the removal of dead skin cells and in cleaning the impurities right down to your pores. Not only does it absorb accumulated dirt and grime, but it also detoxifies the skin by totally ridding it of external pollutants. What’s more, since it absorbs dirt, it doesn’t dry your skin at all! This one is for all you ladies out there who’ve been looking for products to get their oily skin in order. It absorbs excess oil and sebum from the depths of your pores and balances your skin’s natural pH. The result? A smooth, oil-free skin that lasts for the entire day! We promise that you can definitely depend on activated charcoal soap as a cure to your acne problem! Regular application will not only remove skin impurities and oils, but it will also clean out acne-causing bacteria, thus making sure that your skin remains acne free and fresh looking! Pssssttt..it's also known to clear blemishes caused due to old, stubborn acne! The very texture of activated charcoal makes it the perfect gentle exfoliator, and what’s better if it comes in the form of a bar of soap! Its slightly gritty texture softly massages your skin, thus slowly ridding it of all that excess grime and dead skin cells. This makes it perfect for even those who have sensitive skin! All those days you spend chasing deadlines or classes outdoors wreaks damage on your skin over time. The constant accumulation of dirt and grime largens your pores over time, but we’ve got a cure for that as well! The highly absorbent nature of activated carbon thoroughly cleans your pores, and the absence of excess grime eventually reduces the pore size! When stress starts taking over your lifestyle, the signs of ageing start showing up faster than usual. While no one likes loose skin, you can reverse the effects using activated charcoal! Regular use of activated charcoal makes gives your skin back its lost elasticity, thus making way for a firmer, younger looking skin! While this might seem a bit far-fetched solution for a serious skin condition, but sometimes it is the little things that make all the difference! A gentle exfoliator, activated charcoal soap does a great job at clearing dead skin cells. This is something you can add to your routine apart from your prescribed meds! While we have now established the fact that activated charcoal is the perfect solution if you want to get rid of any external pollutant, did you know that it is just as effective when it comes to getting rid of all those blemishes? Simply include activated charcoal soap for a face in your daily skincare routine and we promise you will love the results! Be it a minor cut or damage from prolonged sun exposure, there is nothing that activated charcoal cannot fix! Simply wash your face mildly with activated charcoal soap along with your prescribed medication and let it work its magic! Another thing you don’t need to worry about while using activated charcoal soap is premature ageing. We’ve already told you that it helps tighten your skin, but did we also tell you that it’s great to fight against the early onset of fine lines, wrinkles, and spots? Trust us, this is the ultimate skin care products! 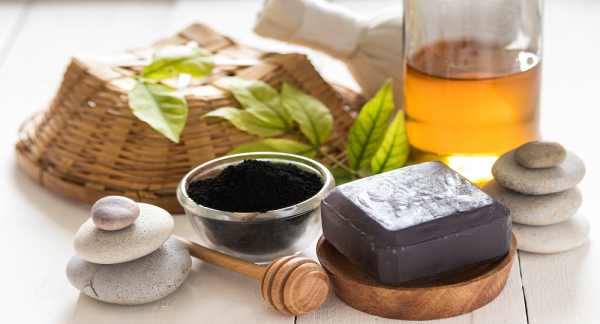 While we can’t help getting over how good activated charcoal soap is good for your skin, there is usually some slight confusion among people when it comes to differentiating between regular charcoal and activated charcoal. But worry not, for we have done the job for you! Activated charcoal and regular charcoal are mostly identical, save for one difference, that is, activated charcoal is solely developed for medicinal use and topical application. It is created by heating regular charcoal with a gas that causes it to expand, thus giving it a porous consistency that makes it ever-so-perfect to trap and lock in toxins. Now that you know about all the ways activated charcoal can be good for you, go ahead and get your skin this miracle worker today! Pssst...if soaps aren’t your thing but you still want the goodness of activated charcoal, then you can just consume activated charcoal capsules!